Thomas Hardy was born on June 2, 1840. In his writing, he immortalized the site of his birth—Egdon Heath, in Dorset, near Dorchester. Delicate as a child, he was taught at home by his mother before he attended grammar school. At sixteen, Hardy was apprenticed to an architect, and for many years, architecture was his profession; in his spare time, he pursued his first and last literary love, poetry. Finally convinced that he could earn his living as an author, he retired from architecture, married, and devoted himself to writing. 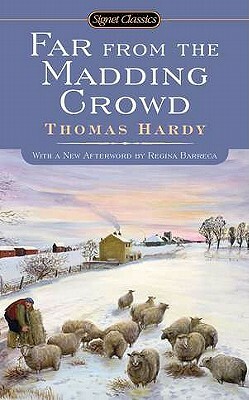 An extremely productive novelist, Hardy published an important book every year or two. In 1896, disturbed by the public outcry over the unconventional subjects of his two greatest novels—Tess of the D’Urbervilles and Jude the Obscure—he announced that he was giving up fiction and afterward produced only poetry. In later years, he received many honors. He died on January 11, 1928, and was buried in Poet’s Corner, in Westminster Abbey. It was as a poet that he wished to be remembered, but today critics regard his novels as his most memorable contribution to English literature for their psychological insight, decisive delineation of character, and profound presentation of tragedy.